The CZ Rally app is designed for a particular type of automobile rally called a Control Zone Rally. 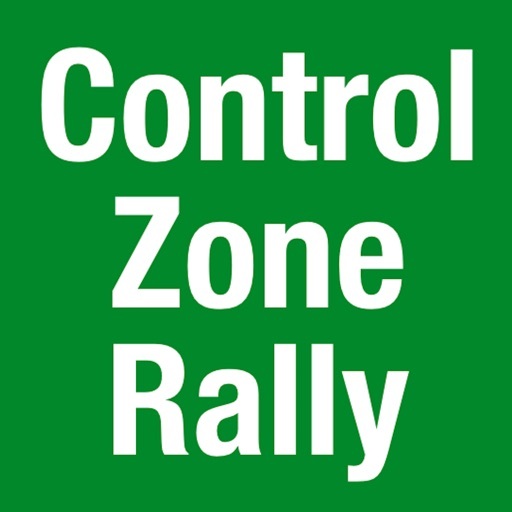 In a Control Zone Rally you are given some combination of time, speed, and distance required to traverse a course from a defined starting point to a finish line. 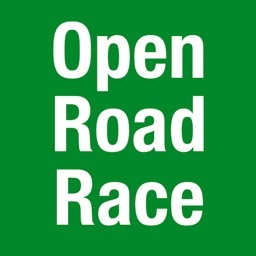 Your starting time will also be assigned as some minute or half minute after the hour in which the race begins. 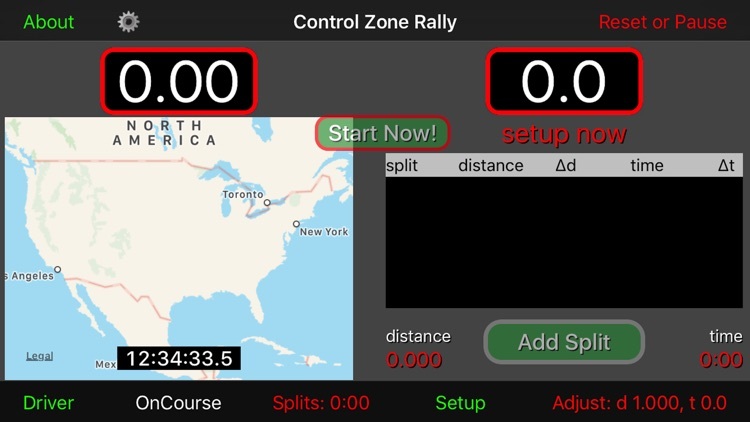 Set these conditions by touching the Setup button to access a screen where the starting time, course time, course speed, or course distance can be entered. When you've set these conditions, touch the green New Rally button in the upper right hand corner of the screen to return to the main screen where a map and your progress will be recorded. The Start Now! button allows starting a new rally or a leg of a rally with a single click. This allows you to preset time, speed, and distance for the upcoming leg, and to touch the button exactly when the new leg begins. In other words, with the Start Now! feature, the user doesn't wait until the clock ticks down to a defined starting minute or minute and a half. 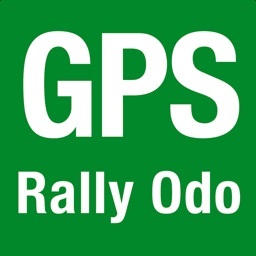 GPS inputs trace the path along the rally route. 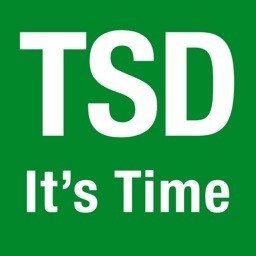 Measurements of actual versus ideal time and distance will be shown in seconds ahead or behind schedule. 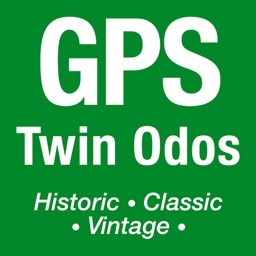 From time to time you may also record time and distance covered an the error against the ideal course time and distance by touching the "Add Split" button. Options include subtraction of distance when you travel off course. A toggle button switches between on course (blue line) and off course (red line) travel. Time splits can be set for automatic error checks. Distance measurement can be set to miles or kilometers and time measurement can be set to minutes and seconds or decimal minutes. Make your selections in the app preferences in the iPhone Settings. 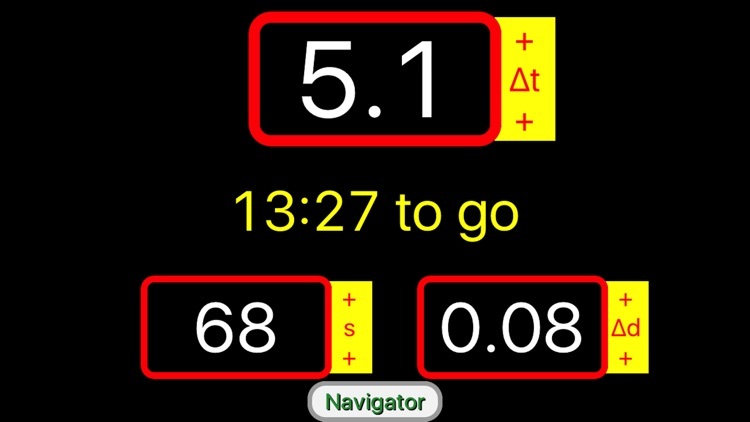 You may Pause the time and distance computations to record measurements at a checkpoint, for example. 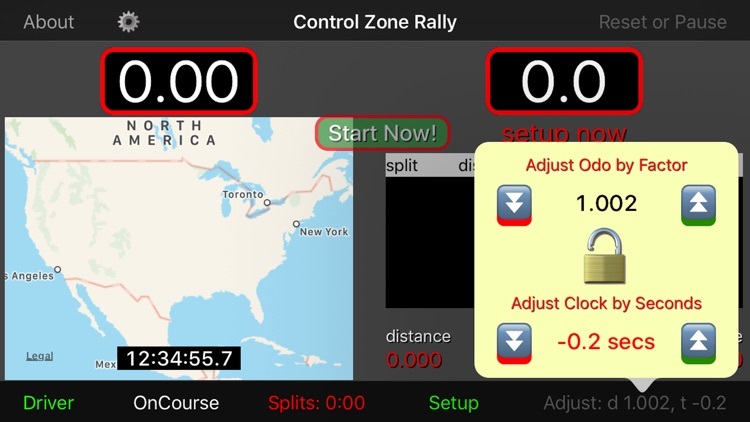 While paused, you may chose the Setup menu for restarting rally measurements at a new starting time with appropriate time, speed, and distance settings...just as you would if starting an entirely new rally. Alternatively, you can touch the Resume Rally button to continue time and distance computations with the same set of original conditions. 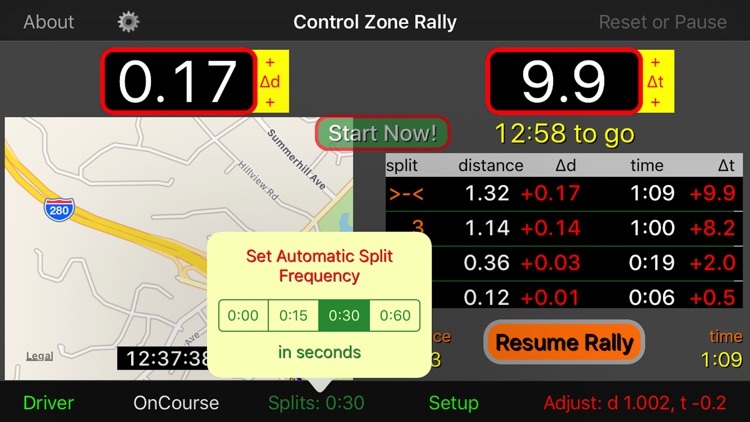 You may fine-tune the app's distance and clock figures to the rally's official measures with the options in the Adjust popup. Unlock to make adjustments and lock to save the changes you make and to prevent inadvertent changes. An adjustment factor between 0.800 and 1.200 can be used to synchronize distance measured by GPS to rally distance. 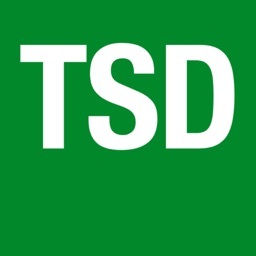 This adjustment applies to all distance measurements shown after the adjustment has been selected. 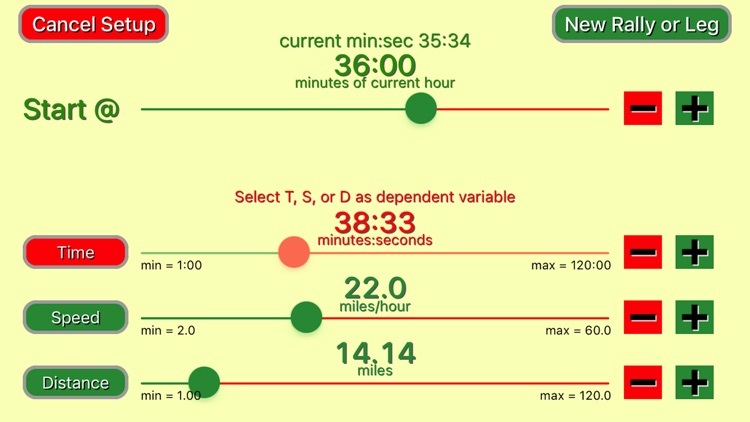 A heads-up display for the Driver shows the time error, the time remaining for the course, the distance error, and the average speed for the course.